RCPW carries a large selection of Shindaiwa parts and other components for your Shindaiwa trimmer, chainsaw, blower, brushcutter or sprayer. Browse or search our parts catalog online and save big on your parts orders compared to retail. We're an authorized Shindaiwa equipment dealer and can help you with all of your rts questions. Call our expert sales staff at 800-937-7279 and we'll help you find the right Shindaiwa part or component that your machine needs to get back up and running. Do you have a trimmer, weed wacker, leaf blower or other piece of equipment? We'll help you locate the correct part for your application. Please check out our free Shindaiwa parts lookup at the link below! Not sure what you're looking for? Browse all genuine Shindaiwa parts here. Looking for a specific part that you can't seem to find anywhere? We'll help you find it! Please give us a call at 800-937-7279 and we'd be happy to lend a helping hand. Don't want to call? 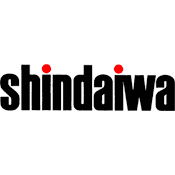 Use our online parts lookup for Shindaiwa. It doesn't matter if you need a trimmer head, drive shaft, edger blade, blower tube, chainsaw chain or bar, RCPW is here to help you find what you need.